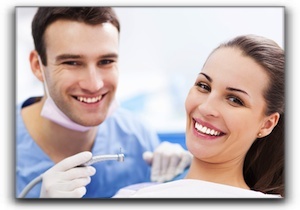 What Can La Costa Dental Excellence Do For You, Carlsbad? We serve residents in the San Marcos CA, Escondido, and Oceanside area from ages 35 to 90. Our excellent staff is there to help you get the healthiest teeth possible. Along with healthy teeth, many of our San Marcos and Escondido patients want to know more about popular cosmetic dentistry procedures. These include teeth whitening, veneers, dental implants, gum contouring, and more! A combination of cosmetic dental treatments can remedy every problem to achieve your stunning smile! If you live in the Encinitas area and would like to see what La Costa Dental Excellence has to offer, give us a call at 760-633-3033. We are currently accepting new dental patients! We are located at 7730 Rancho Santa Fe Rd Ste 106 in Carlsbad, California and we have been serving the dental patients of the Escondido and Oceanside area since 1988. We can’t wait to make you our next satisfied patient.